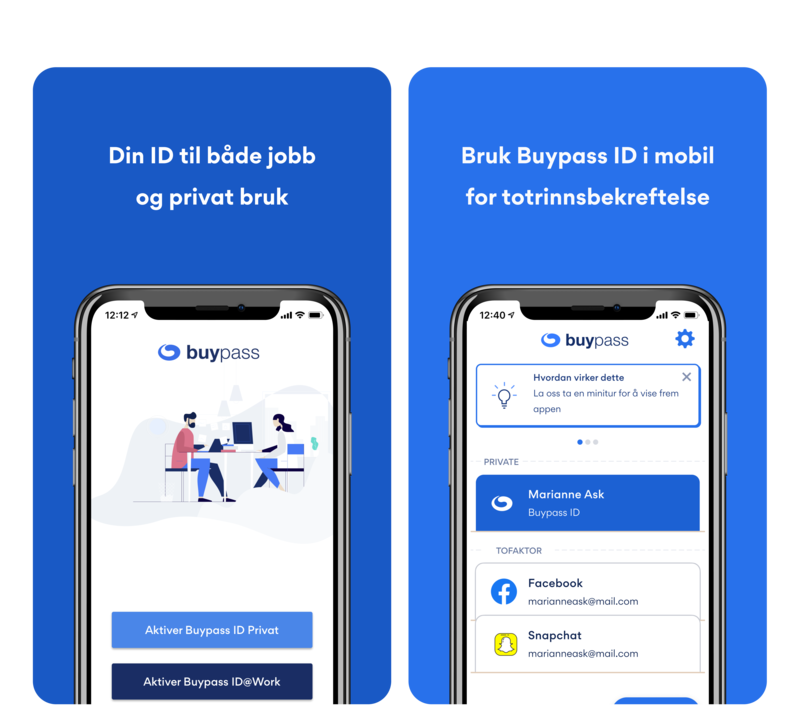 Buypass ID in mobile is a solution where the user's personal Buypass ID is stored centrally in Buypass's ISO/ETSI certified infrastructure. The user is allowed to access his electronic ID via his own mobile phone and uses this for identification/login to a selected service. The Buypass ID for Mobile solution stores the user's personal Buypass ID centrally. The user uses their mobile phone to access the ID. This centrally-stored ID is based on the use of cryptographic keys and qualified certificates in accordance with Norway’s eSignature Act. This ensures that an ID at the highest trust level can be used to access public services that require this. Such a centrally-stored ID consists of two cryptographic keys (RSA 2048 bits) that can be used for authentication and signing. The cryptographic keys are generated, stored and can only be used in an HSM in the secure Buypass environment. The keys are well-protected, and the use of cryptographic techniques ensures that no one other than the rightful owner of the keys has access to them. To access their private keys, the user must authorise access by using their personal mobile phone along with a secret code known only to the user. This two-factor authentication ensures that only the key's owner has access to the centrally-stored keys. This process can be compared with the use of a smart card where users must enter a personal PIN number to authorise access to the private keys in the smart card. User may choose to use either their Buypass password along with a one-time password from their mobile phone, or by using the Buypass ID mobile app that requires the use of a PIN code to authorise access to their private keys.